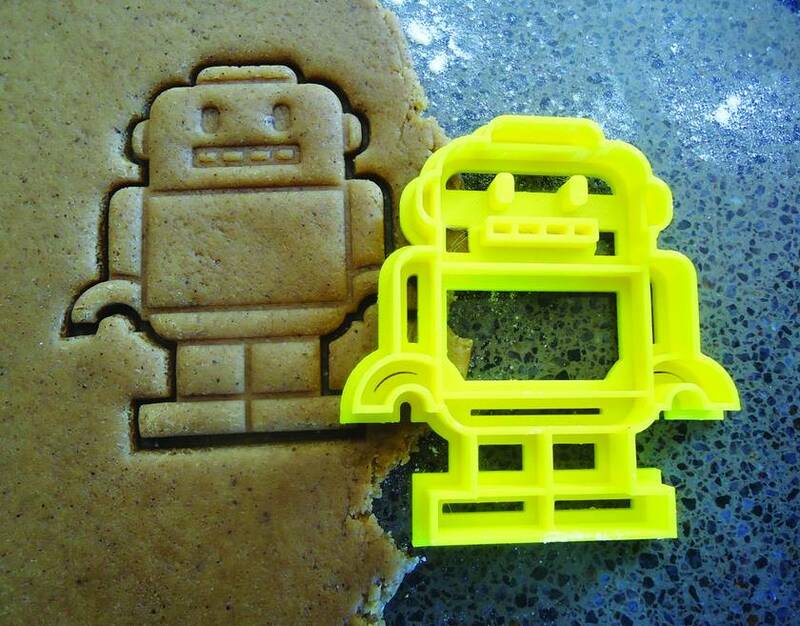 Robot shaped 3D printed cookie cutter. 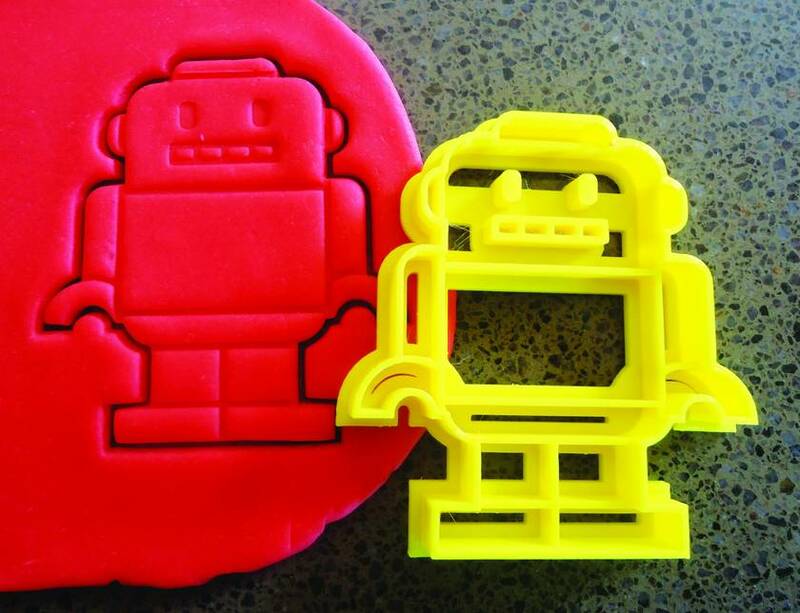 Can be used to make cookies, cut fondant decorations or playing with play dough. 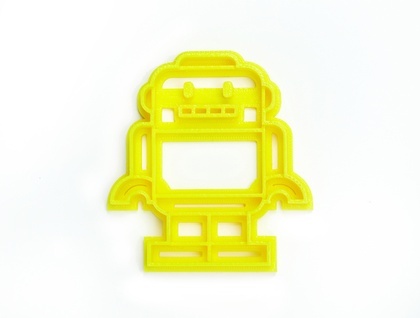 It would make a nice gift and it is easy to post. Available in black, brown, blue, green, pink, purple and yellow.